For some reason in my circle of friends and family I have a reputation for researching things extensively. When I buy things, I like to make informed purchases, and know that I'm purchasing something that is best suited to my needs. Because of that, afterwards I generally have a working knowledge of the subject. I recently had two good friends ask me at out of the blue about which headphones I use, and which ones they should consider because they were "in the market" for new ones. When I responded with some basic questions and followed by a few recommendations one of them laughed and told me that I should do this "professionally". This prompted me to write these "What would Logan Buy" posts. I thought that as long as I had spent so much time learning about something, I might as well put that information somewhere for others to use so they can make use of it. So here we are. It might be a minor thing in the grand scheme of things, but here are two pairs of headphones that I feel offer amazing value. 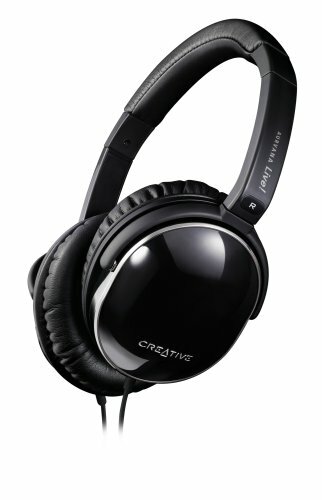 If you decided to start googling what real "audiophiles" think about most of Creatives headphone products, I don't think most people would give this pair of cans (over the ear headphones) a second thought, thinking they'd be garbage like many of rest of headphones that Creative makes. They'd be wrong. The CAL is actually a Denon headphone that was discontinued (as a Denon), that Creative purchased the rights to continue to manufacture making this CAL a cheap rebadged Denon . If you've never heard of Denon, then I'll just say that they are a highly respected audio company. And like many Denon products they have something of a "warm" and "smooth" sound. Most of the time their street price hovers around $60-75. Superlux is a kind of obscure brand, that you won't find in your local Best Buy. This is because Superlux was more or less a driver manufacturer for other headphone companies. A few years ago they started selling their own headphones using some of the same drivers they used in other brands headphones. These headphones took the audiophile community "by storm" becoming among the most frequently recommended budget headphones. They are known for a "brighter" or "crisper" sound. 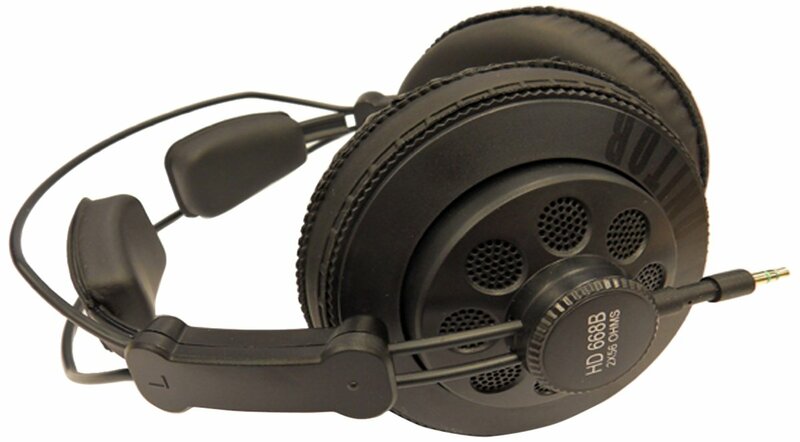 The Superlux 668b and Samson SR850 are actually the same headphone (cans and drivers), but the Samson has a different headband and a non-detachable cable. It is also usually about $15 more expensive than the Superlux. These are both semi-open headphones, so you hear more of your surroundings than you will with a closed can like the CAL. However, this semi-open nature of the can also gives these headphones a very wide soundstage. The "soundstage" is what audio nerds use to describe how well audio equipment gives the illusion of space. So if you close your eyes and listen to something, can you picture where the sounds are coming from? Are the sounds all coming from the same space, or different places? A large soundstage gives great immersion, and can really surprise you at times. These are also known for having a very very flat response curve. This means that there is not really a frequency range where the headphones make any frequency noticeably louder or softer than the other frequencies. This is a good thing because it means that it very accurately represents how the original audio that you are listening to was recorded. It might however not be what you are used to because its a common trend right now for headphones to have extremely to moderately inflated bass. So if you're expecting a "Beats by Dre" type of experience these headphones might not be for you. One of my friends with an ear for music got these recently, and loves them. He said that these are a "game changer" for how he thinks about headphone audio. In fact, he says that he immediately started paying for higher bitrate music, and is re-recording all of his CD's into lossless formats because the headphones are actually accurate enough for him to hear the compression artifacts found in lower bitrate MP3 audio. He also now defines music in terms of if he can hear the squeak of the bass drums pedal, or the guitarists fingers moving on the strings. Oh, and the price? These two hover between $36-58. I currently own one of them, and a variation of the other (superlux 681 Evo, bought when the 668b's were twice their current price). So in that sense my money is already "where my mouth is" and feel that neither of these are bad choices. The main deciding factors for me would be price, and the "features". If you need your headphones to block out more sound because of the environment then the CAL makes the most sense in my mind. The Superlux does have the edge in soundstage and clarity though. Also, the removable headphone cable is a small feature, but I love it. It makes it easier to transport the headphones, and provides the advantage of not pulling the cable out of the headphone if you trip on the cable. All things considered though if I were to do it over again I would start with the cheaper Superluxes. They provide a remarkably low price of entry into the world of "high quality" sound. Once you have those, you can assess your needs and find out if you were a hidden audiophile this whole time and want to invest more into audio equipment or headphones. Thanks for reading, and feel free to tell me what you think about this post and/or the headphones in the comments :).